C’est une pierre dans mon jardin | One quality, the finest. 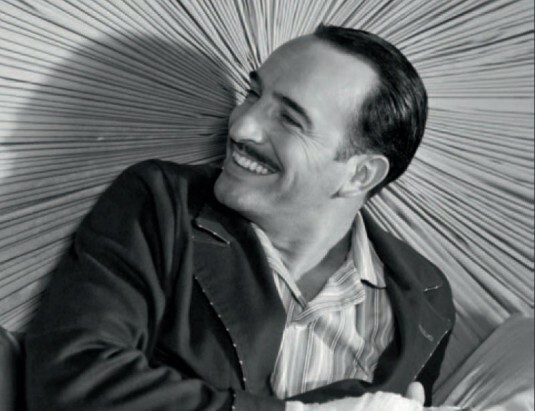 The success of Jean Dujardin and The Artist at the Golden Globes may have been a surprise to American audiences, but he’s been a major heart-throb in France for a good while. In recent years he starred in a number of French hits, including the OSS films that spoof James Bond that netted Dujardin a César nomination for best actor and a role the huge hit from 2010 Les Petits Mouchoirs (Little White Lies). Next to Marion Cotillard, he’s the highest paid French actor at 2.3 million, which certainly pales in comparison with his American counterparts. Dujardin was born June 16, 1972 in a suburb of Paris. He starred with his wife, Alexandra Lamy, in a TV comedy series before making the transition to the big screen in 2005. Dujardin already won the best actor award at Cannes for the romantic silent film and is predicted to win at the Academy Awards too. Dujardin means “of the garden.” Today’s expression, c’est une pierre dans mon jardin (set ooh pea-air dah mohn sjardahn) literally means “it’s a stone in my garden.” Figuratively, it means “that’s a dig at me.” People in France may have taken shots at Dujardin for not being a “serious” actor early in his career, but he’s one of only two Frenchmen to ever win a Golden Globe (the other was Gérard Dpardieu). Who’s laughing now? This entry was posted in Movies, People and tagged c’est une pierre dans mon jardin, Jean Dujardin, Les Petits Mouchoirs (Little White Lies), OSS 117: Cairo A Nest of Spies, The Artist. Bookmark the permalink. Saw the Movie last Night. He deserve all the praise he is getting. Pingback: Classé monument historique | One quality, the finest.